Features: Embrace the romance and fun of Valentine's Day all year round! 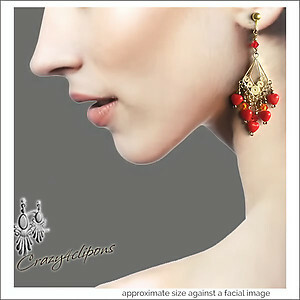 Our cheerful heart chandelier earrings shine in red hearts. 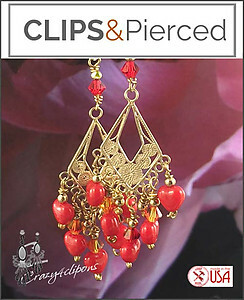 Crafted in 14K Gold Vermeil filigree, gold plated wire, Swarovski crystals. Stunning all year long!